Early 2018 ACM Award Winners Announced! 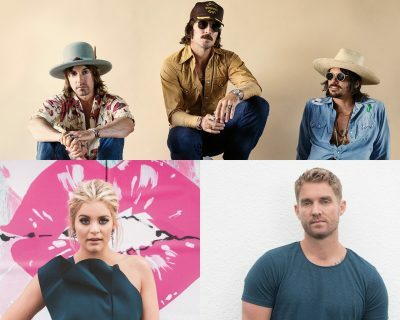 Congratulations are in order for Lauren Alaina, Midland and Brett Young! The Academy announced this morning that the three have been named New Female Vocalist of the Year, New Vocal Duo or Group of the Year and New Male Vocalist of the Year, respectively. Alaina, Midland and Young received the news via a surprise phone call from this year’s ACM Awards host Reba McEntire. In addition to receiving their first-ever ACM Award wins, they will also be performing at the ACM Awards show for the first time on Sunday, April 15th in Las Vegas. Watch the moment they heard the good news! Click to see Lauren, Midland and Brett ‘s reactions. And click below to see them LIVE in Las Vegas at the 53rd ACM Awards! Country Music News Blog participates in advertising programs that help fund the operation of this site. For more information please visit our privacy statement. This entry was posted in ACM Awards, Lauren Alaina, Press Releases by Shauna "WhiskeyChick" Castorena. Bookmark the permalink.